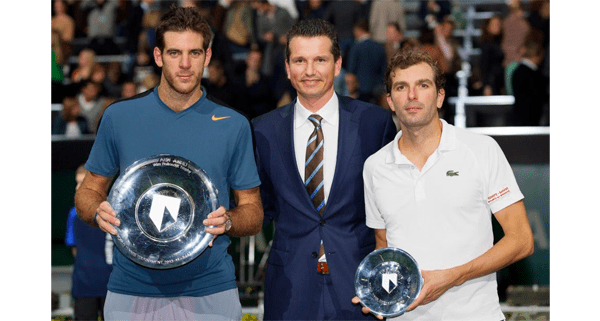 ABN AMRO: Juan Martin del Potro was last man standing at the ABN AMRO WTT, the stacked ATP 500-series event in Rotterdam led by tournament director Richard Krajicek which saw Roger Federer ousted by finalist Julien Benneteau and had semifinal runs by Gilles Simon and Grigor Dimitrov. Delpo earned his 14th career title by downing Benneteau 7-6(2), 6-3. Vika wins two: The plot thickens in the battle at the top of the women’s game between Victoria Azarenka and Serena Williams. At this past week’s Qatar Total Open, contested in Doha, Serena regained the No. 1 ranking but Azarenka notched her second career win over Williams (in 13 tries) and defended her Doha title. The scoreline: 7-6(6) 2-6, 6-3. Azarenka is taking the week off to heal a foot injury, while Serena is playing in the Dubai Duty Free Tennis Championships. 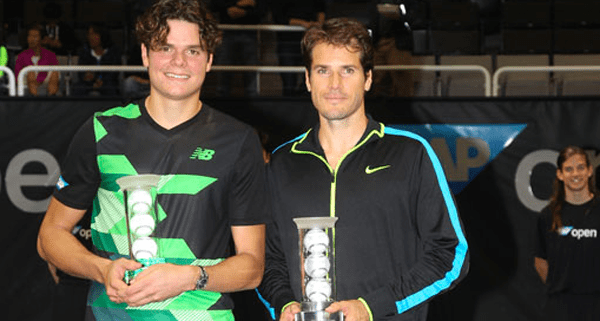 Bon voyage: The final edition of the 125-year-old SAP Open, held in San Jose, Calif., featured a three-peat for top seed, and two-time defending champ Milos Raonic. He defeated fourth seed Tommy Haas 6-4, 6-3. Raonic won all three titles without dropping a set. 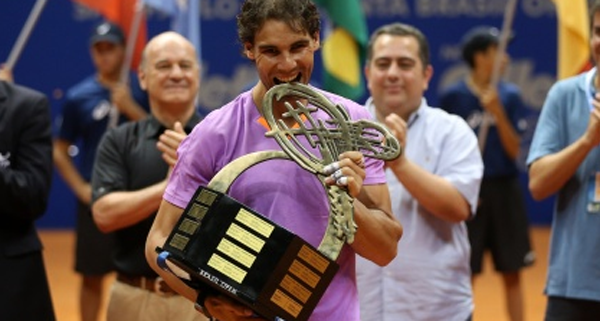 Chippin’ off the old block: The story of Rafael Nadal has finally come full circle. After disappearing from the circuit for about eight months after losing to Lukas Rosol in the early rounds of Wimbledon 2012, the Spaniard took home the Brasil Open (Sao Paolo) title last week. The 6-2, 6-3 victory over David Nalbandian was Nadal’s first since beating Novak Djokovic in the final of the 2012 French Open.